Many different factors may go into your decision to become an LPN. You may, in fact, want to become a registered nurse, but don’t have the time for the lengthy degree. A licensed practical nurse, or LPN, or a licensed vocational nurse, also LVN, pursues a diploma program that allows you to care for patients. However, they usually do most of their practicing under the supervision of an RN. This diploma program can take as little as 18 months, but if you choose to pursue the degree part time, it could very well take longer. If you are looking for a fast-track into nursing with patient care and decent pay, you should look no further than your local junior college or trade school to become an LPN. In addition to the money and the short educational track, you should have a few other qualities if you decide to become an LPN. You should be someone who likes working with people, but the most important skills are time management and communication. You need to be able to organize your day and deal with the chaos that often accompanies a nursing shift. You should be someone who can cut through the noise and get the job done. LPNs also need to communicate effectively with their supervisors, doctors, patients, family, and ancillary staff. Truly, the ability to talk is one of the most important factors in your success as an LPN. An LPN and a RN have very similar job descriptions, but you should be aware of some of the differences between them. LPNs can assess patients, pass medications, call doctors, and evaluate outcomes. However, the LPN works under the RN. Usually, the registered nurse is the supervisor, and the licensed practical nurse does “tasks” that the RN delegates to them. This means that the assessment, implementation, and evaluation should be the responsibility of the registered nurse. Although practical nurses do perform these tasks, the ultimate blame for any mistakes lie with the registered nurse. In more practical terms, in most states, LPNs cannot administer medications through an intravenous line. They are also not allowed to administer blood products. 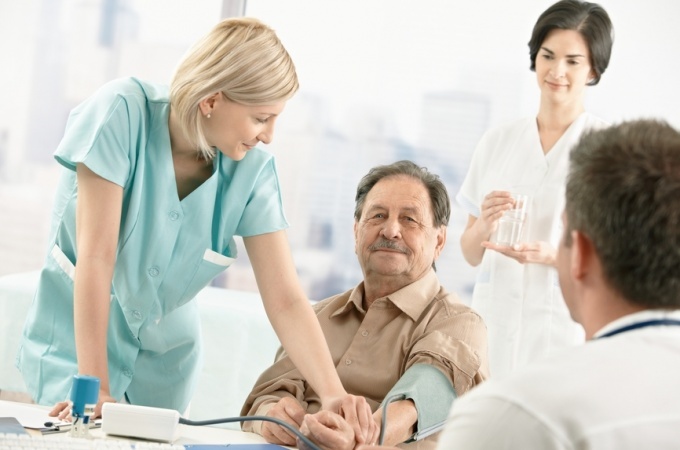 Tasks that are frequently delegated to the licensed practical nurse include: assessing patients for health problems, collecting and interpreting vital signs, and giving medications. LPNs can also perform wound care, give certain treatments, and insert catheters. When performing these functions, if a problem is encountered, then the practical nurse reports to the RN. However, most of the time, the LPN works independently and experiences a certain sense of autonomy on the nursing floor. LPNs earn a salary that is much higher than minimum wage, but it is not as high as that of the RN. According to the Bureau of Labor and Statistics, the median wage for an LPN is $40,380 per year. That is about $19.42 per hour, but salary averages can be misleading. First, experience accounts for higher salaries. In fact, the top 10 percent of LPNs earned more than $56,010 per year. By contrast, newer nurses can earn in the bottom 10 percent, or $29,680 per year. Most of the time, these discrepancies are based on experience alone. Other considerations for salary include the facility you work in and the region of the country you live in. Certain facilities, such as nursing homes, pay more for LPNs because they are usually in need of good nurses. Working at a hospital or doctor’s office may pay less because they are more desirable. In addition, not many LPNs are used in these facilities in many states. Your region may impact the amount of money you earn because that region may have a great need for LPNs or the cost of living may be high. Either way, your experience with salaries may vary according to these factors. Licensed practical nurses can work in a variety of medical facilities, but the most common place you will find one is in a long-term care facility, or nursing home. Many nursing homes use one RN per unit and then have several LPNs beneath them that pass medications, do treatments, and assist the patients. However, it isn’t the only place an LPN can work. You can find some practical nurses in acute care hospitals, but many hospitals are currently switching over to all registered nurses. Some LPNs may be used in supportive roles, such as phlebotomist, telemetry tech, or IV team nurse. Doctor’s offices may use LPNs, but they are more likely to use RNs who can assess patients. 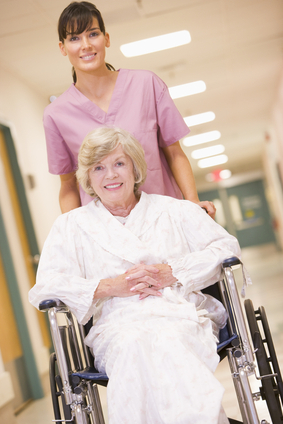 Home health care is a great venue for practical nurses, as are rehabilitation hospitals. The ability for an LPN to advance in the medical establishment is rather limited. They usually cannot hold supervisory or managerial roles. With the education and experience you obtain as an LPN, you can work towards your RN degree. If you further your education, the ability to advance to higher levels within the professional track increases. Licensed practical nursing programs are available all across the country, and they are usually easier to get in to than some RN programs. You can take LPN programs at the local junior or community college, but many trade schools offer LPN training. You may prefer this venue to a college setting, especially if you are a returning student who wants to deal with as few younger students as possible. Practical nursing programs focus on anatomy and physiology, pharmacology, and clinical exposure, but you do not have the intense college classes that a RN program requires. Likely, you will not need to pursue very high level math or science. Some LPN programs are offered online, but you should only take a class from a local school. This is because LPNs must learn hands on, and the clinical settings need to be arranged through a local school with local facilities. You cannot set those up independently, and you absolutely need to have a required amount of clinical hours to sit for boards. You can still take classes online for your convenience. For instance, you can learn the material from your home, and then you can apply that knowledge in clinicals.